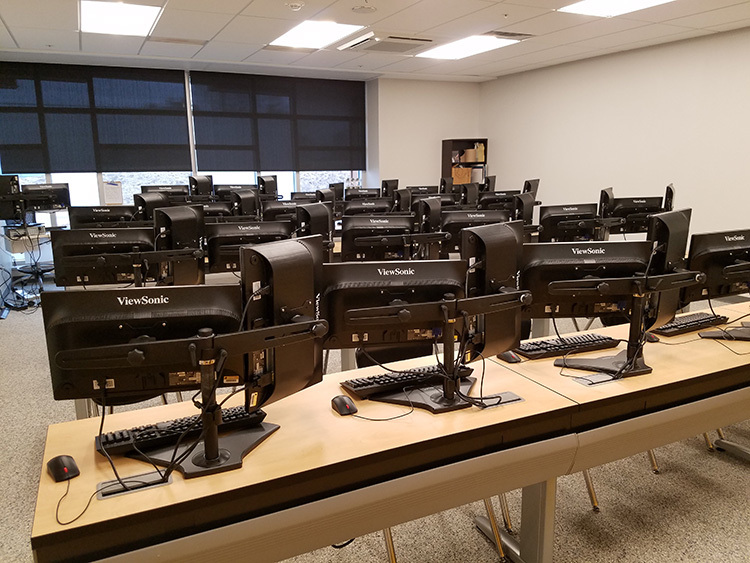 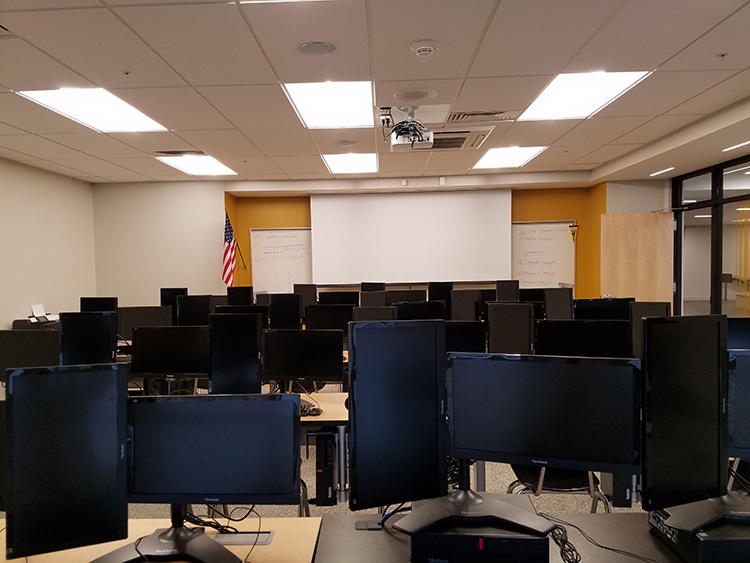 McQuaid Jesuit robotics and engineering programs access a full range of design and fabrication tools in a new robotics/ engineering lab placed into service in 2018. 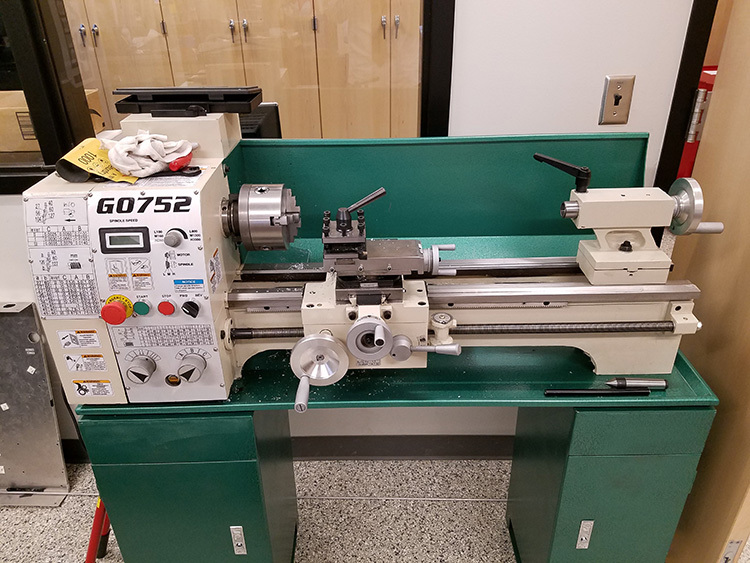 Students in robotics build on expertise gained in PLTW engineering courses and work with robotics mentors to design and produce parts using manufacturing processes such as 3D printing, lathing and milling. 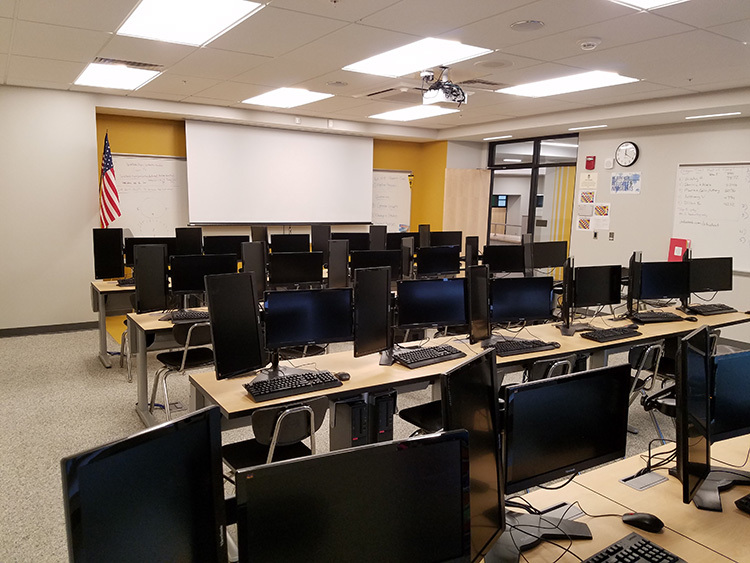 Students are strongly advised to enroll in the Introduction to PLTW Engineering Design course to acquire the necessary CAD skills to start the creation process. 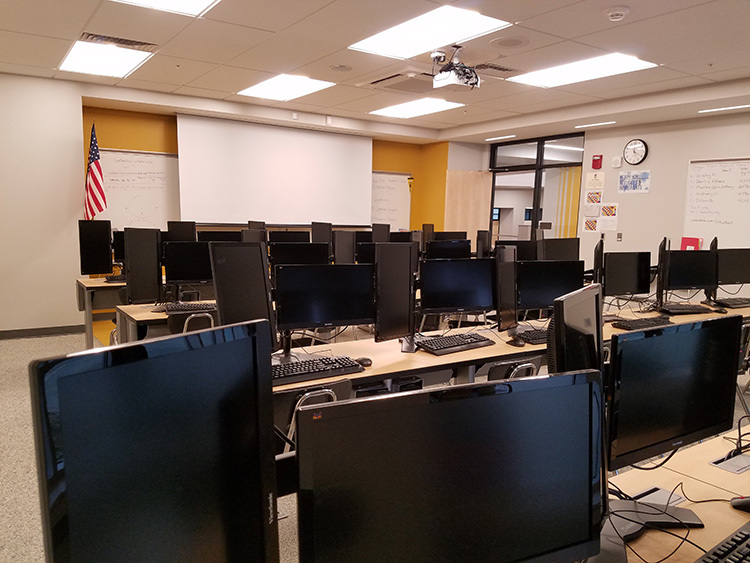 Active mentorship by industry professionals is a hallmark of the robotics program and ensures techniques and industry standards become part of the student skill set during his extended time with the program. 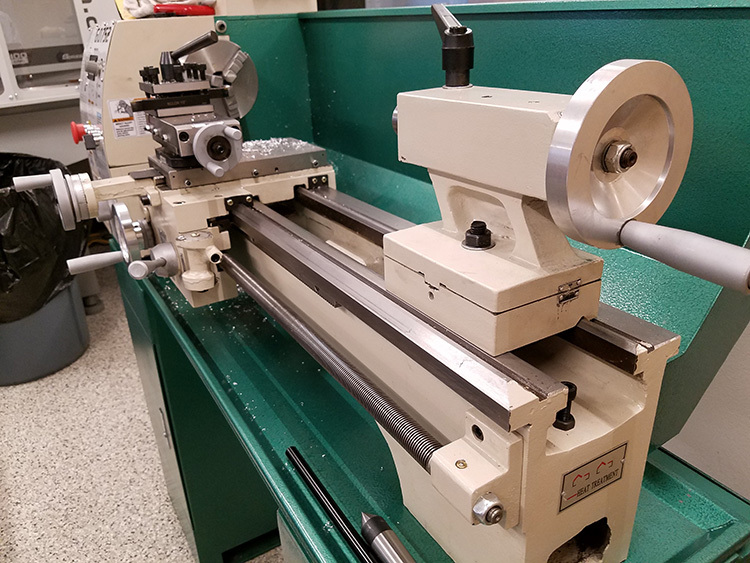 The Lathe is a tool that rotates the work piece about an axis of rotation to perform various operations such as cutting, sanding, drilling, facing, turning, with tools that are applied to the work piece to create an object with symmetry about that axis. 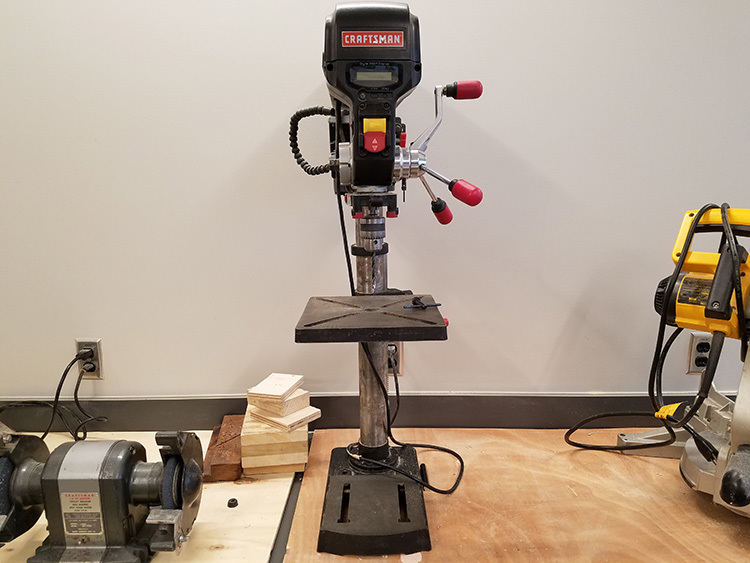 A drill press (also known as a pedestal drill, pillar drill, or bench drill) is a fixed style of drill that may be mounted on a stand or bolted to the floor or workbench. 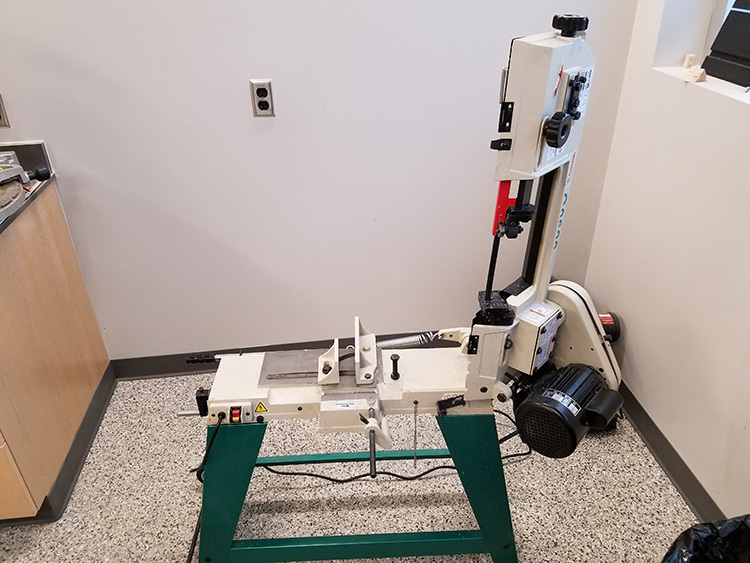 The Compound Miter Saw is a specialized power tool used for making crosscuts in lumber and other materials. 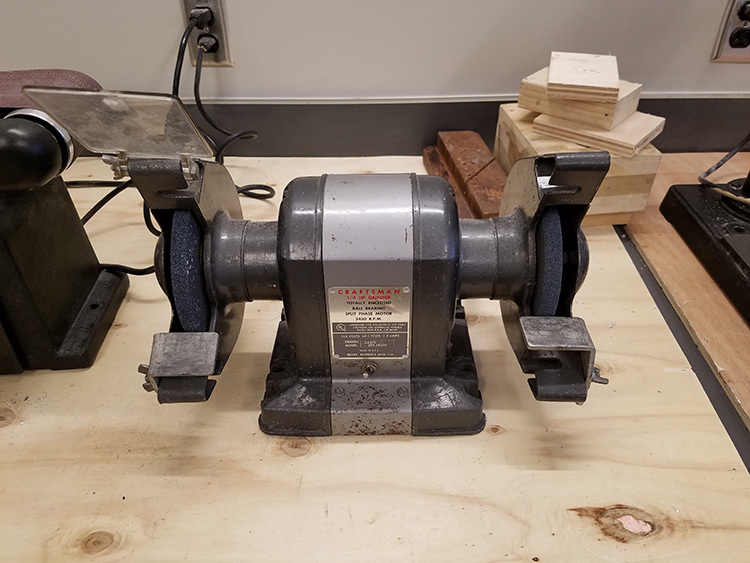 It consists of a motor and blade combination mounted on a pivoting arm that is brought down to the material by pulling on a handle. 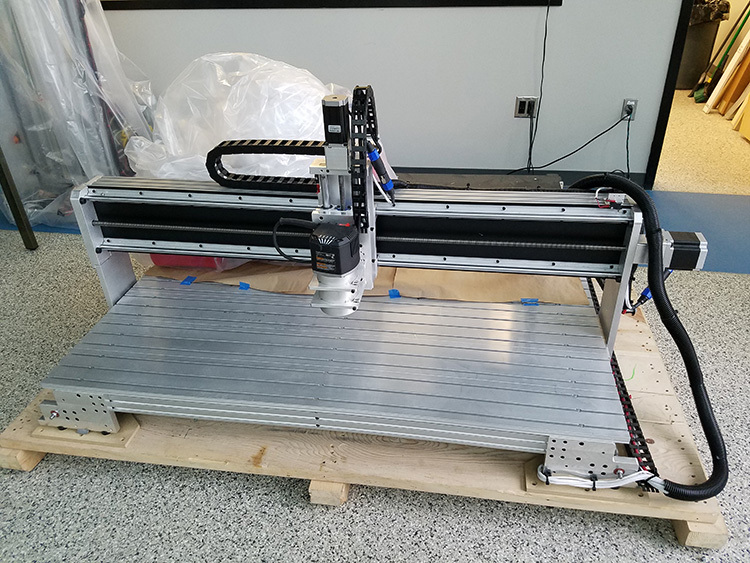 A CNC (Computer Numerical Control) Router is a computer-controlled cutting machine related to the hand held router used for cutting various hard materials such as wood, composites, aluminum, steel, plastics, and foams. 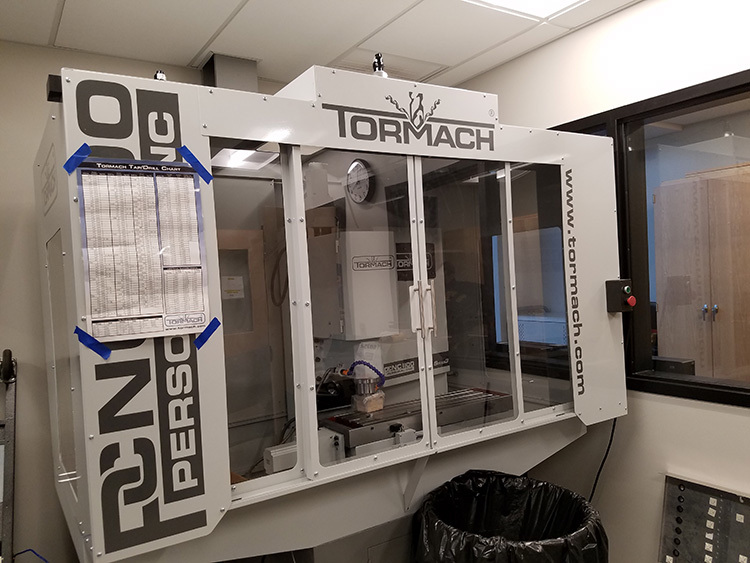 A CNC (Computer Numerical Control) Mill has a table that moves by computer numerical control to drill or mill parts that are very accurate and repeatable. 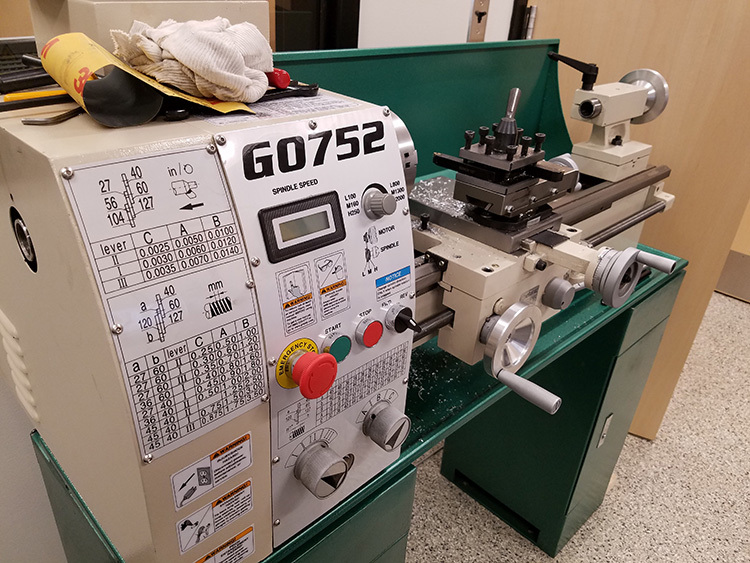 On a CNC mill, tools are changed, and speeds and feeds set, by the code. 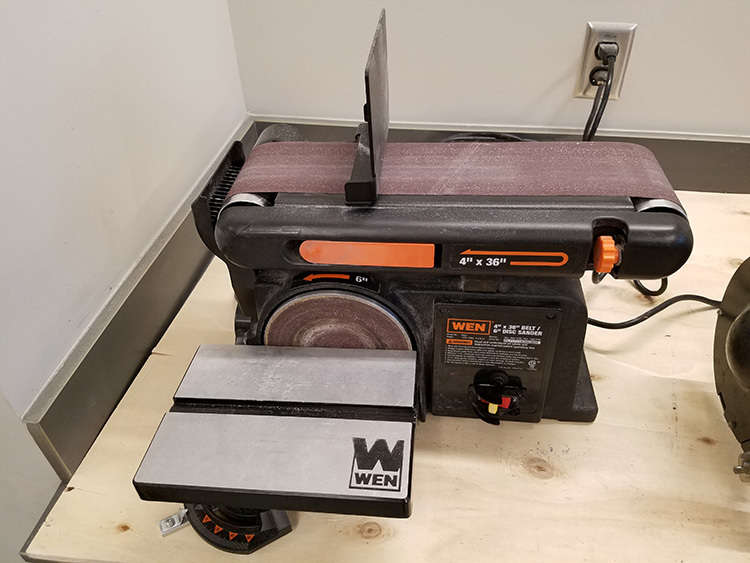 A Belt Sander is a sander that uses a moving abrasive belt to smooth surfaces. 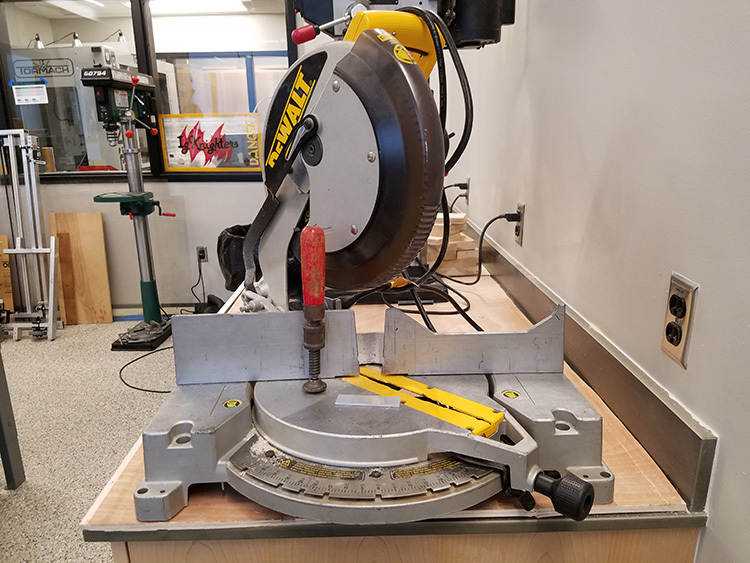 A Band Saw is an endless saw, consisting of a steel band with a serrated edge running over wheels. 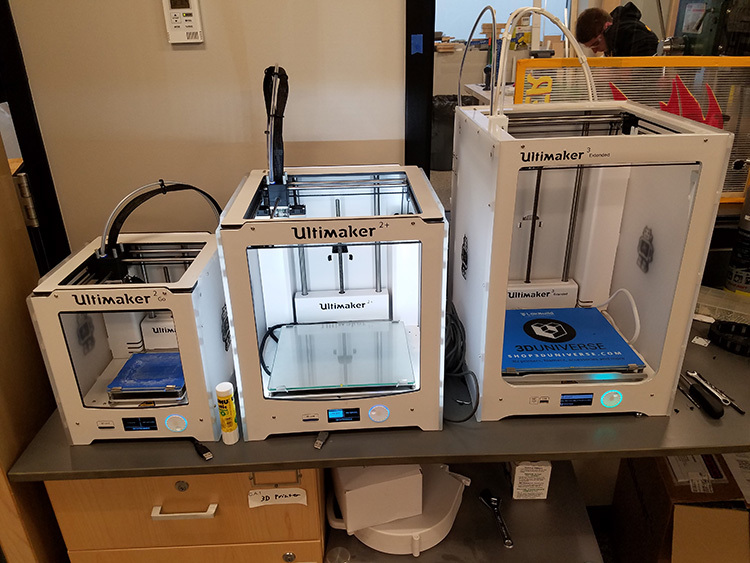 3-Dimensional Printers produce solid objects from a digital file. 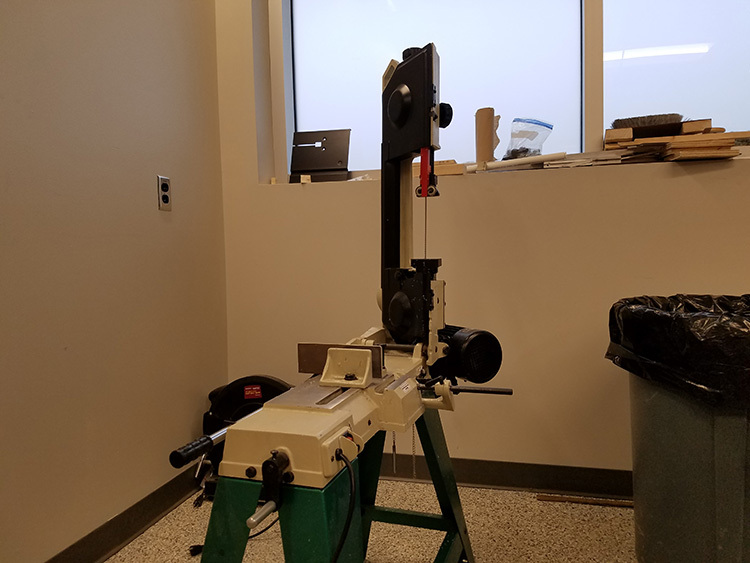 They enable students to produce complex (functional) shapes using less material than traditional manufacturing methods.